Rams Gate Winery embodies the convergence of great wine, design, and hospitality. Situated at the historic gateway to the Carneros region. A delicious wine is a way to press pause- to savor and enjoy what we love most. Above is the dining room. Melissa gave me the best Mother’s Day gift ever, a trip to Sonoma County. We went to a food and wine pairing at Rams Gate Winery. Across the highway from the winery is the Sonoma County Raceway. This winery is totally sustainable. They grow their own vegetables, produce their own honey, with beehives on site, not to mention the amazing vineyards. I thought I would post some of the pictures to give you an idea of how beautiful this place is. A beautiful outdoor sitting area. You can get these wines shipped to you when you order from their unique online selection. For more information on their website visit www.ramsgatewinery.com. Upscale grocery store chain with an old-world vibe. They offer local produce, prepared eats, wine and more. 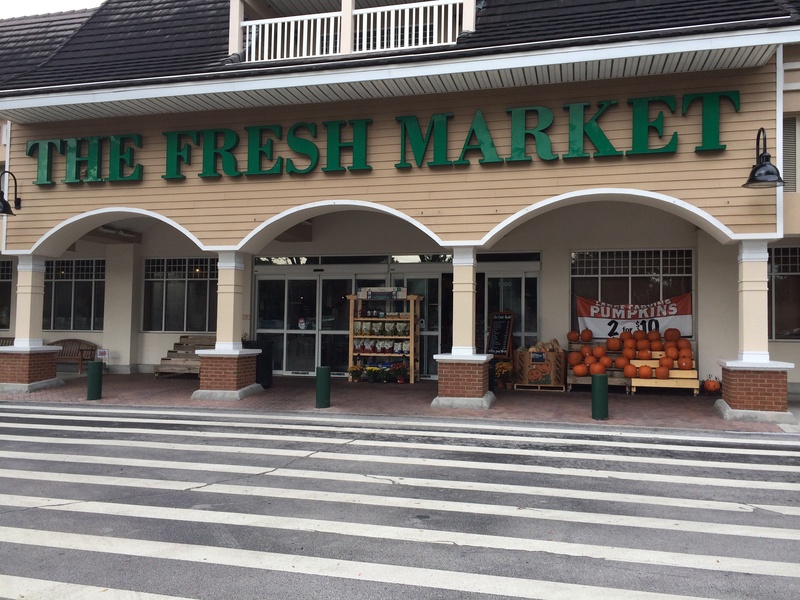 For more information about their stores, locations, and hours, visit their website at www.thefreshmarket.com. One of my favorite cooks once said that if you have 10 recipes and if you can do each of them in three different ways well then you have a pretty good catalog. I mean, its always good to want to try different dishes and desserts because you really can never learn enough. There are always great new chefs or restaurants we visit that inspire us to make dishes that we can recreate and make our own. That is how I came up with this recipe. It’s simple but delicious and healthy. In a small sauce pan pour orange juice, soy sauce ,brown sugar, agave nectar, ginger, garlic, and chili paste. whisk together well. On medium heat bring to a boil whisking every so often. Turn the heat down to a simmer and reduce by half. Take off the heat and let cool. Place 1/3 of marinate into bottom of sheet pan lined with foil. 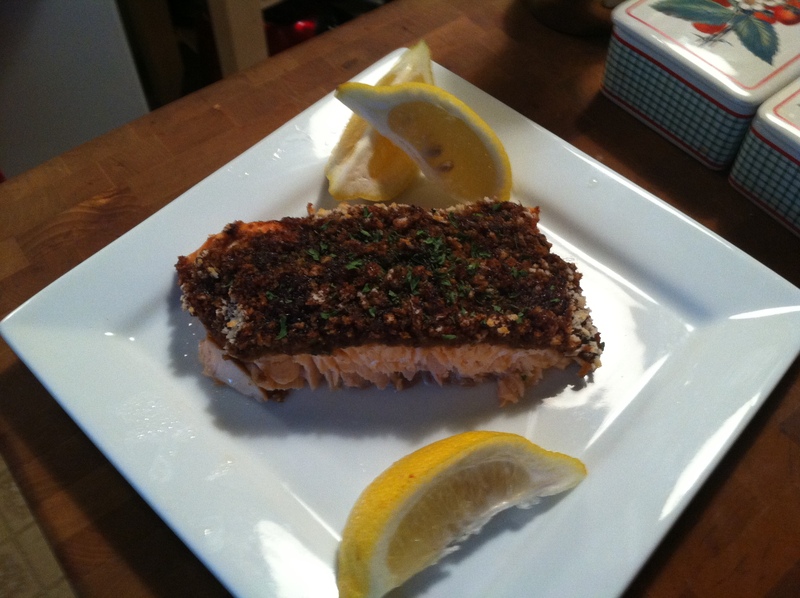 Place salmon on top, then put the panko bread crumbs on top of the filet pouring remaining marinate on the top so the bread crumbs can absorb the rest. Place in a preheated 425 degree oven for 10 to 12 minutes. After 10 to 12 minutes take it out of oven and cover the salmon for another 15 minutes. Take the two spring onions and finely mince them, then uncover the salmon and garnish.